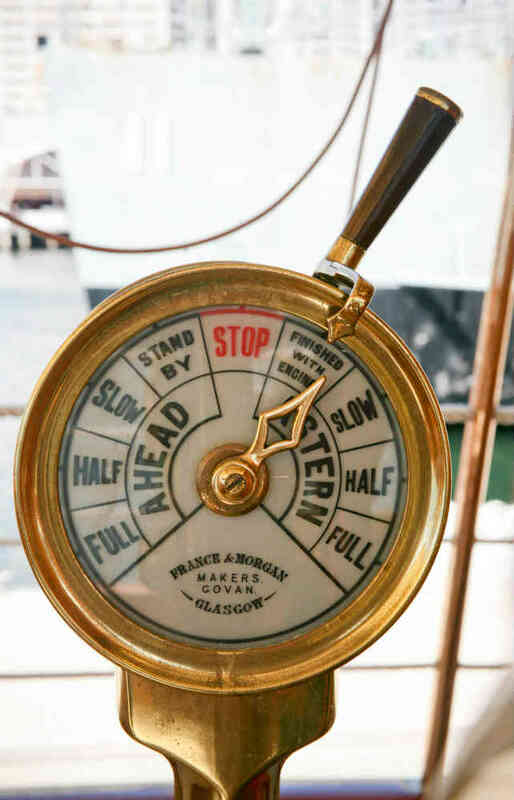 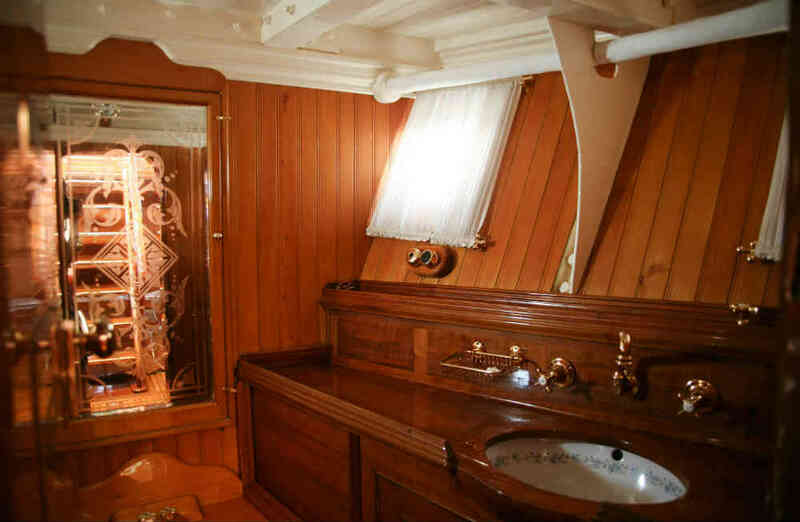 Be transported into the luxury of a bygone age aboard Edwardian Steam Yacht Ena. 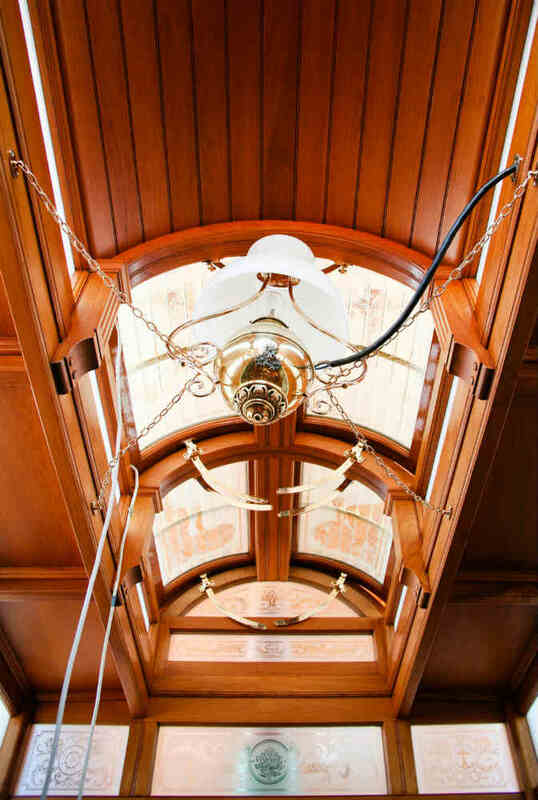 Dazzle your guests with flawless luxury and timeless elegance. 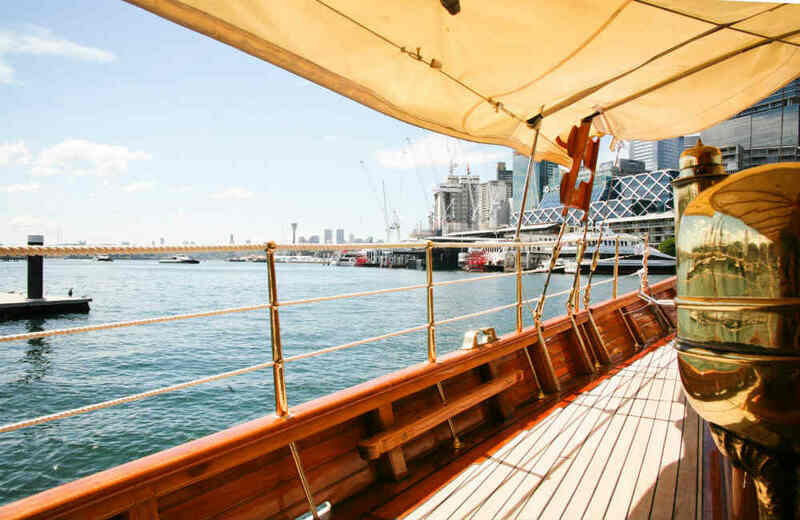 Slip aboard the stunning Edwardian Steamer Yacht Ena and be transported into the luxury of a bygone age. 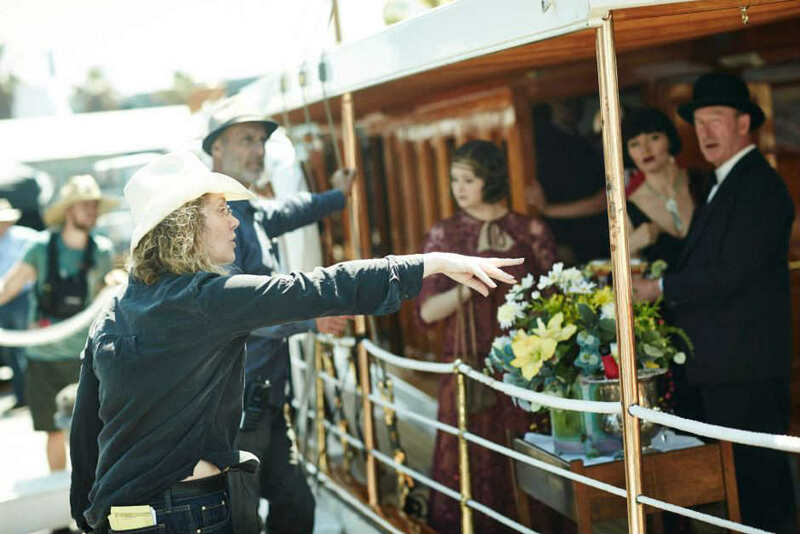 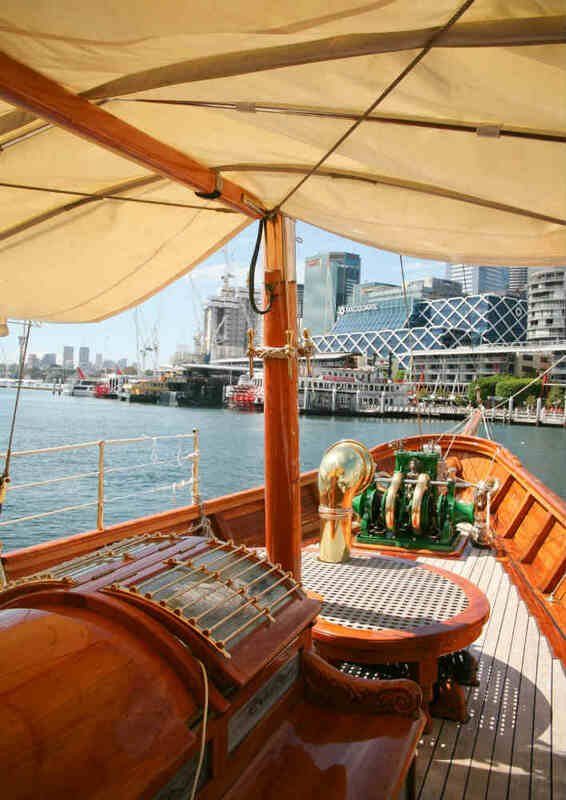 Built in 1900 to entertain society's elite and featuring exquisite brass fixtures, polished timber and luxurious fabrics, the SY Ena has featured in the 1920’s-set TV series Miss Fisher’s Murder Mysteries. 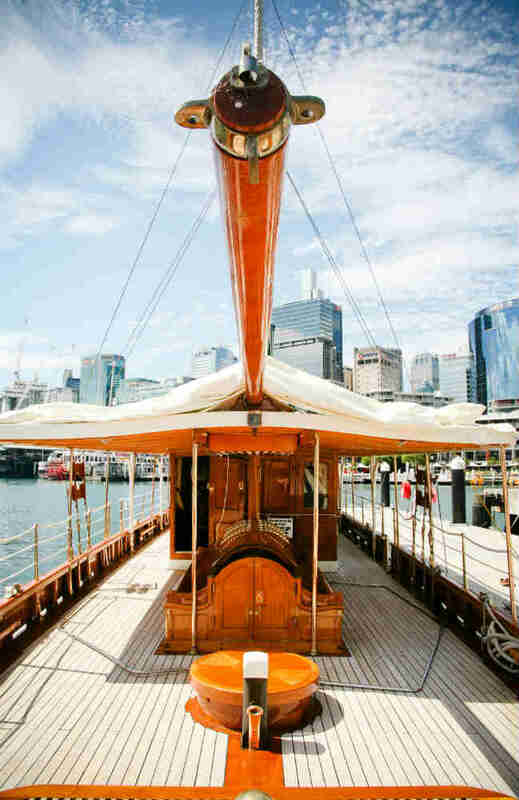 Entertain up to 40 with cocktails and canapés, or enjoy formal dining for up to 20. 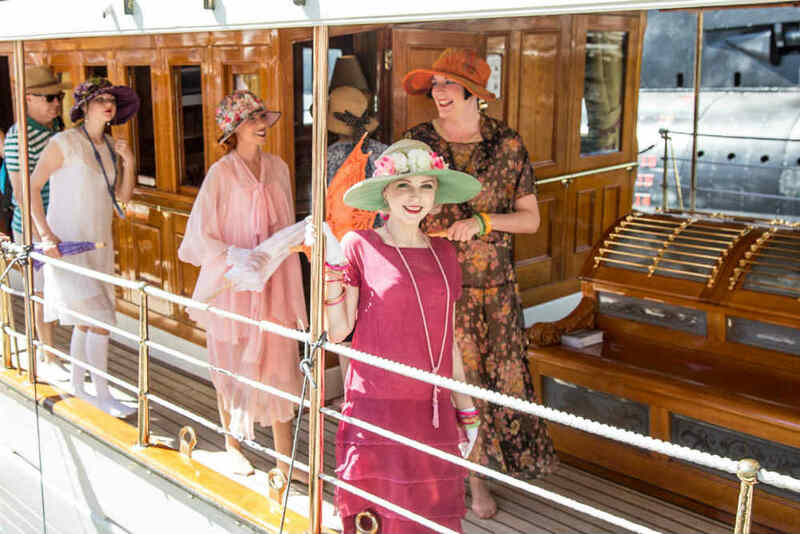 "Thank you so much for a truly blissful evening – it was all divine"
Dazzle your guests with sophisticated glamour for a truly unique experience. 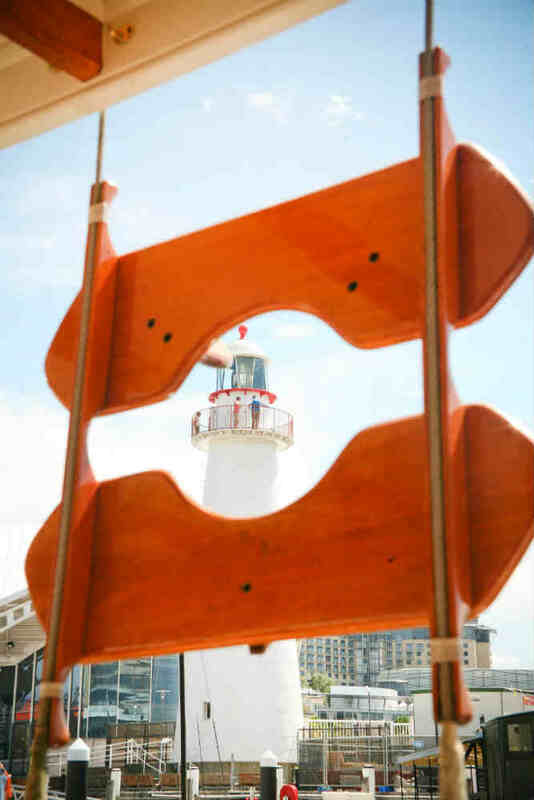 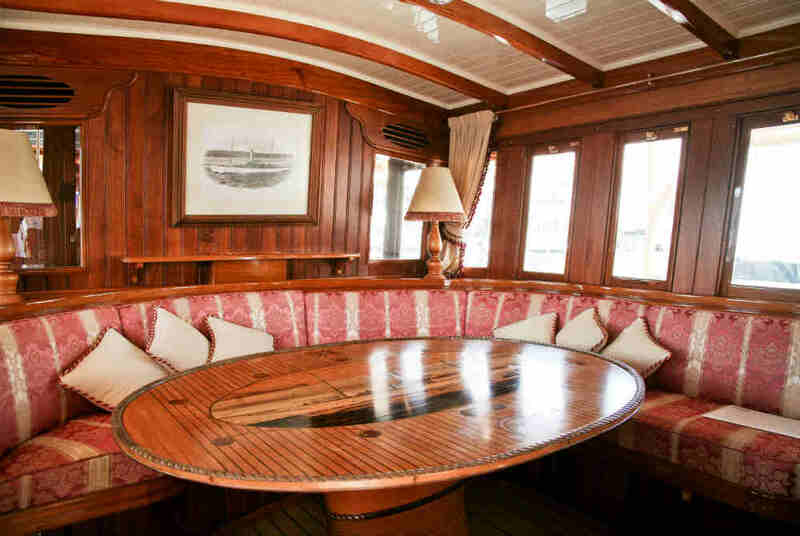 Enjoy cocktails on deck, or intimate dining below deck. 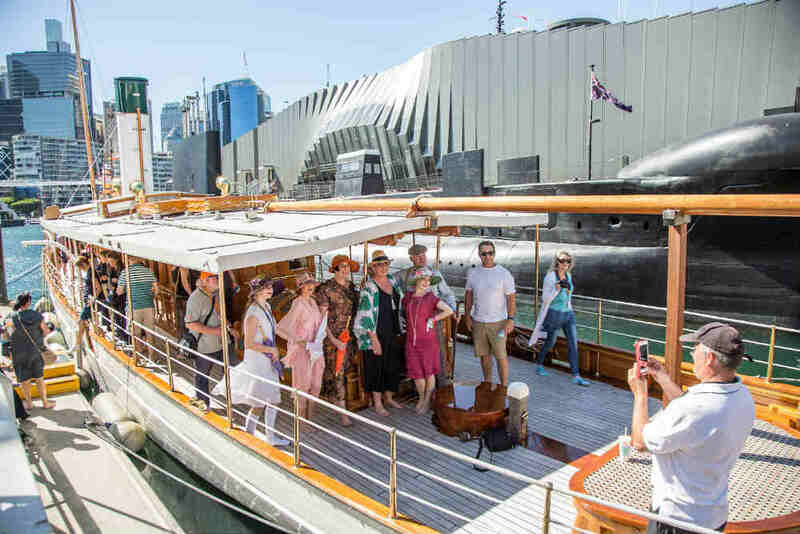 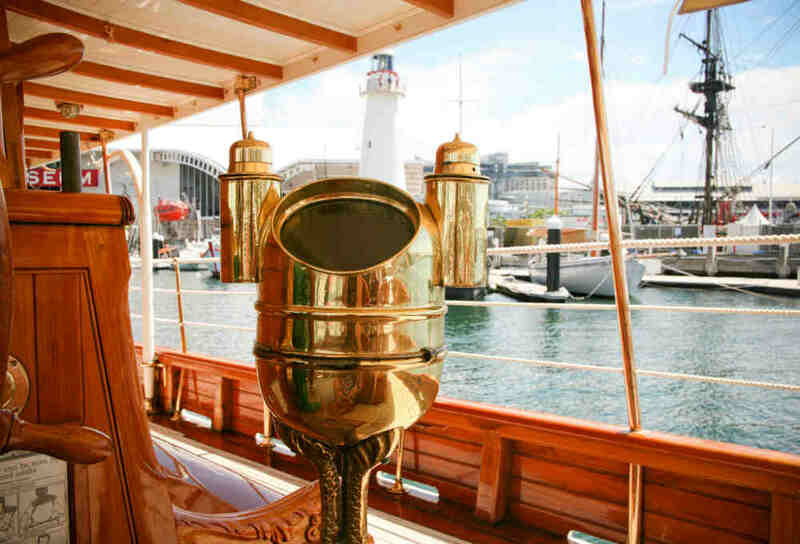 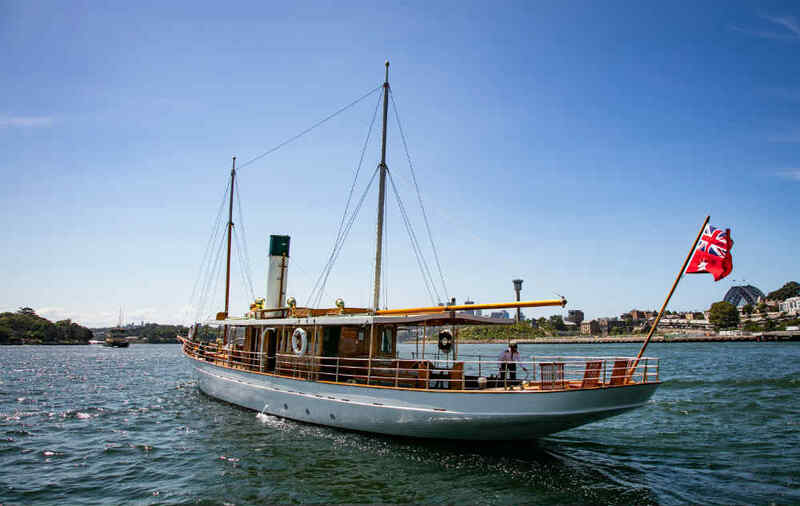 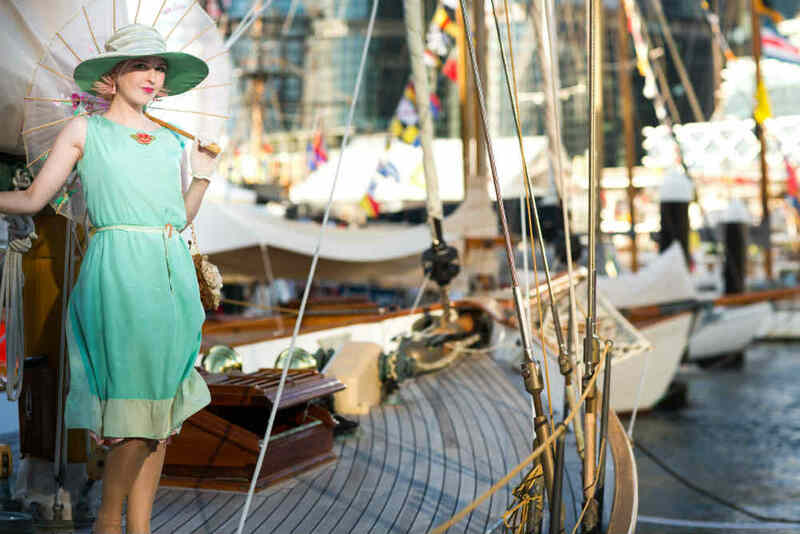 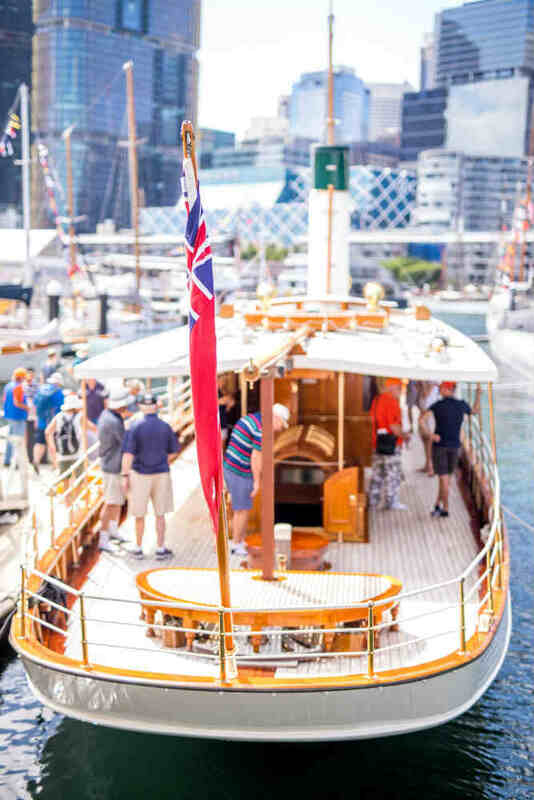 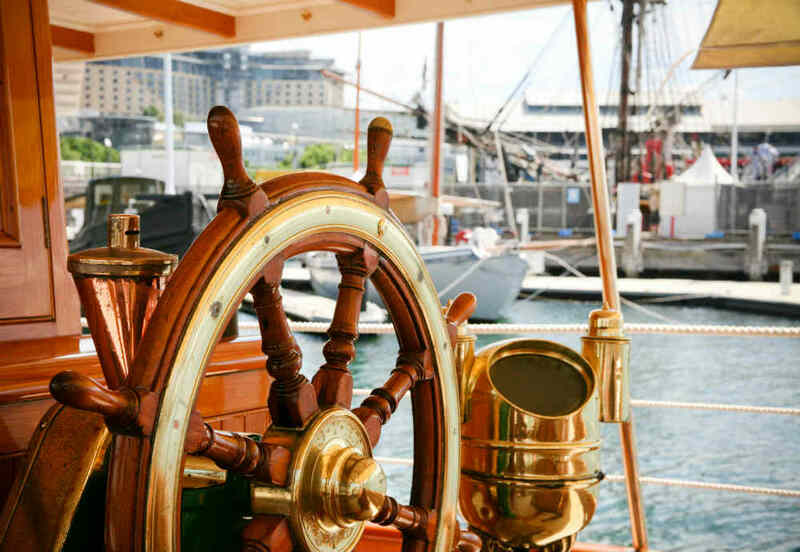 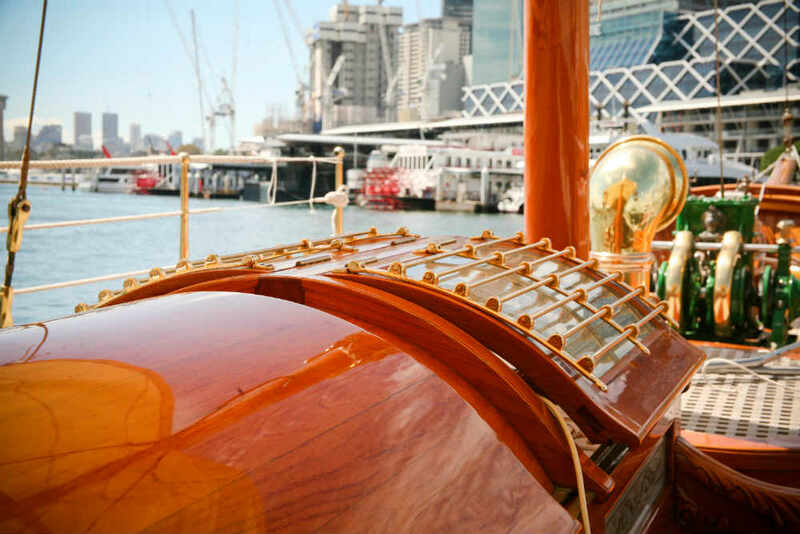 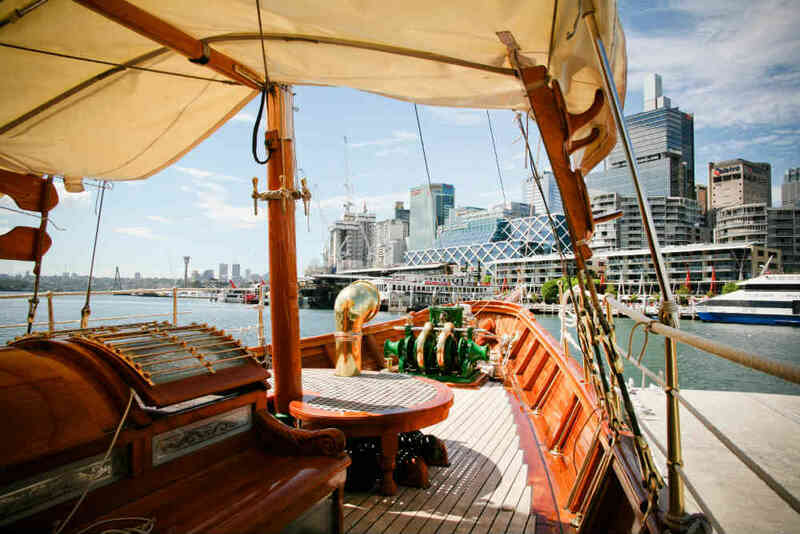 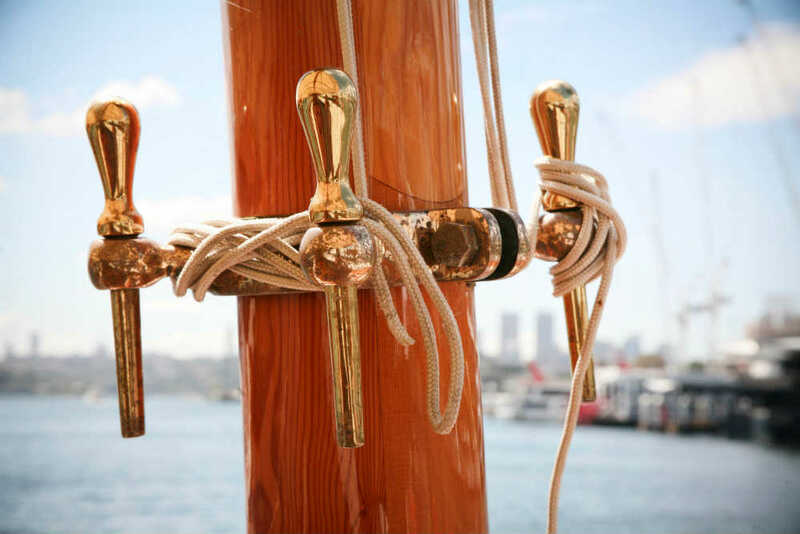 This beautifully restored Edwardian steam yacht is a once-in-a-lifetime event location. 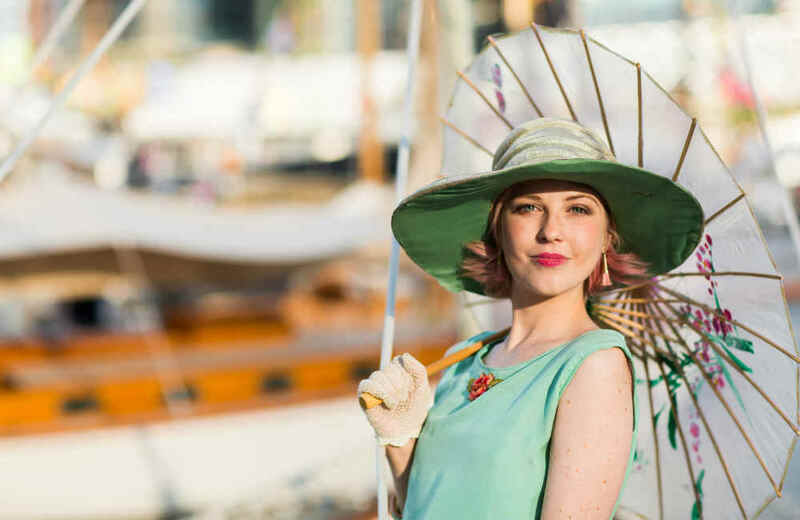 The museum is now taking expressions of interest for corporate events, photo shoots and filming opportunities.